FIFA World Cup 2018 is here and now would control lives of soccer fans for at least one month. There are 32 teams, and only one of them would take the cup home! But who is going to raise it? 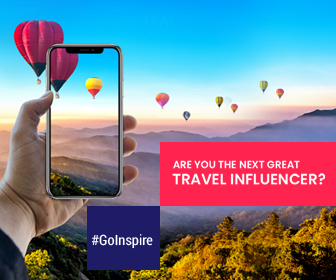 Is your home country participating? If not, which team is your favorite? Or can you predict which team will win the 2018 FIFA World Cup? Is it all-time favorite Brazil or Egypt, or ruling champion Germany? Well, when it comes to predictions, we remember Paul, the Octopus who predicted the outcome of 8 German matches for FIFA World Cup 2010 accurately. And Paul had become a star after accurate prediction last World Cup. 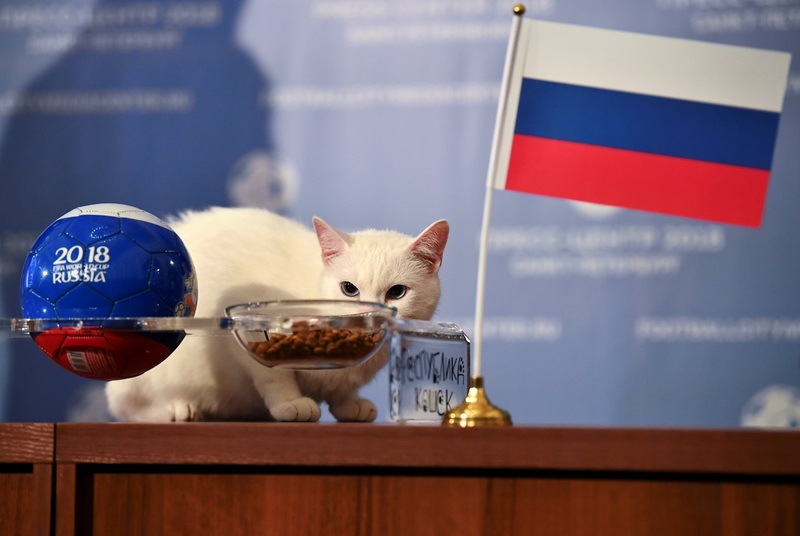 For this FIFA World Cup 2018, Russia has their soothsayer to predict the results – Achilles, a furry white feline. He is being touted as a cat psychic who will predict the winners of the World Cup tournament. Achilles is deaf and lives in St Petersburg’s Hermitage museum. Achilles has big shoes or tentacles to fill the previous soothsayer Paul but is deaf which many think is a disadvantage, but his supporters believe that this is a distinct advantage as it can hone his senses and won’t get distracted by the noisy crowds of spectators and journalists while making his predictions. How does Achilles predicts for World Cup? Achilles is given two bowls bearing the flag of competing countries. The bowl which he selects and eats from is predicted to be the winner. Achilles is dressed in a red soccer jersey, for his training – looks at a chart of teams and tournament schedules. Strict exercise (exercise wheel) and diet regime would keep him in good physical condition during the 2018 FIFA World Cup. Achilles has established a good track record by predicting correctly for the 2017 Confederations Cup. So soccer fans believe that he is the next big soothsayer for the ongoing tournament. Checkout the complete guide of FIFA World Cup here.